Do you have a desire to quit your job but it's hard for you to take the first step? Or you have made a precise decision, but don't know how to approach this task? Here are some tips from Resumance that will be useful to take. Start by defining your strong and weak professional skills. Write them on the list. It will come in handy when you prepare your resume for a certain vacancy, compare your skills with the requirements of the employer and write a cover letter or prepare for an interview. Of course, even without a list, you realize your professional advantages. Having put everything on paper, you will be much easier to navigate when looking for a job and submitting a resume. Your resume should be ready. As soon as you think about finding a job, write down in your resume all the latest jobs, responsibilities, new skills, work results, classes or trainings. It's possible that you will have to redo your CV a little, focusing on those skills that are more important for a particular employer. Remember about common mistakes you shouldn't make. But in any case, the backbone of the resume will be ready. Thanks to this, you can use any chance that may appear, even if the deadline for applying for a job is limited. Don't underestimate the opportunities that live communication can provide. Perhaps the work itself will find you or you will be informed about a vacancy that has not yet been published on job search sites or on the company page. Even if you haven't yet decided to change your job, but already think about it, try to find out what is happening in the labor market. Read the articles and view the vacancies in order to understand the actual requirements of employers. Talk with professionals in their field. Don't overestimate the situation or exclude the availability of opportunities and argue that nothing can be found without understanding the situation. 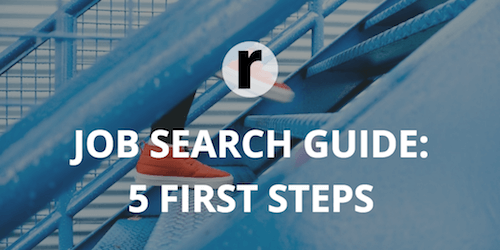 If you start from the very beginning that the job search can take some time and that the refusals of employers are an integral part of this process - you will protect yourself from many unpleasant moments. The main thing is not to waste this time in vain. Try to develop, expand your knowledge of the profession at the current workplace. Even if you can not immediately find a suitable job, try to continue to be active in finding a job and not lose motivation.